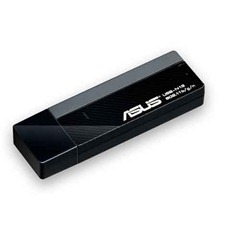 ASUS USB-N13 gives you a powerful and on-the-go connection with its hassle-free setup. Its specially-designed internal antenna provides wireless speed up to 300Mbps and wireless coverage of up to 300 meters. Based on the Realtek RTL8192CU series chipset.